Discount offered: Free climbing gear rentals for both. Free climbing for mentor. 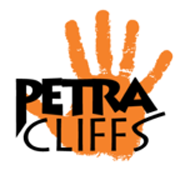 Petra Cliffs focuses on climbing and mountain-related education and recreation, accessible to all ages and abilities. We seek to offer premium instruction and services through experience-based education, uncompromising attention to safety and customer satisfaction, growth with empowered employees, and an inspiring atmosphere for families and friends to gather for challenge and fun.